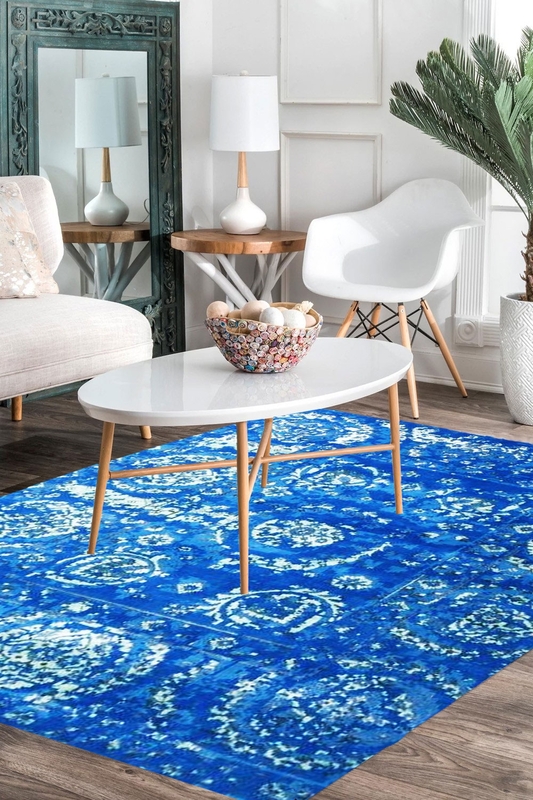 Enhance the beauty of space by putting this Cobalt Blue Chakra modern area rug. It is woven in India by our talented weavers and has taken about 4-5 months to weave. Add a perfect texture to your modern home décor with this vibrant blue color. Royal Blue color reflect a royal look to a place. Cobalt Blue is "One of a kind" handknotted modern area rug which is made in handspun wool, Bamboo silk and cotton material. The combination of royal blue and ivory gives an outstanding look. This carpet is a highly durable and 100% hand washable rug.